24 lasers, 3 red beacon lights. Biometric Hand Scanner and Keypad. 1 computer and a lazer printer. Complete sound system, high res camera. 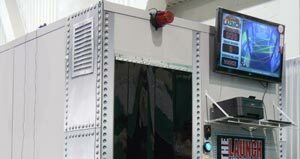 Fog Generator, 42″ HD television. Are you in the market for a new, innovative way to amp up the fun at your family entertainment center? Well, look no further because Lazer Mazers has exactly what you’ve been searching for. We manufacture and deliver high quality laser mazes like you’ve never experienced before. Our team of family fun experts has put together a variety of options that facilities from all around the world can enjoy. Our laser challenges are designed to take your customers on a thrilling adventure that is sure to keep them coming back for more. Choose from the Heist, the Vault, the Launch or let us create your very own custom maze to have installed. These mission impossible mazes provide hours of action-packed recreation that the whole family can appreciate. We build laser mazes that are cost-effective and valuable solutions for those wanting to enhance their facility with something new and exhilarating. Our laser challenges promise to impress. 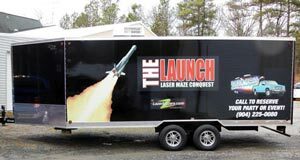 We encourage you to learn more about our products and find the lazer maze that will be the perfect investment for your family entertainment center. Contact us today for more information on partnering with Lazer Mazers to increase your profits as well as your reputation for having the most exciting attractions around. 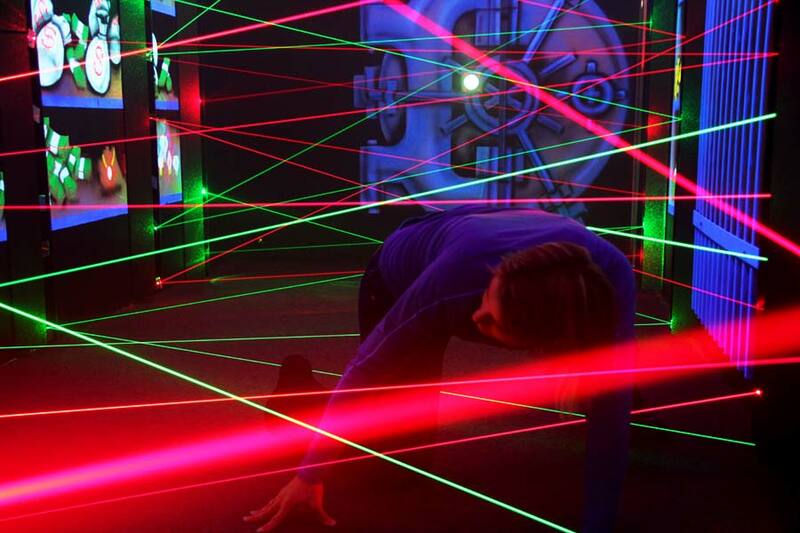 All the excitement of an installed laser maze but with the added flexibility of going mobile! This 8×18 foot building is made from extruded aluminum studs and rigid foam walls.